16 gummies, 3.75mg THC, 2mg CBD each. Safe from harsh chemicals, Potent, Portable, All-Natural, and crafted by professional confectionery chefs, for superb quality and taste. 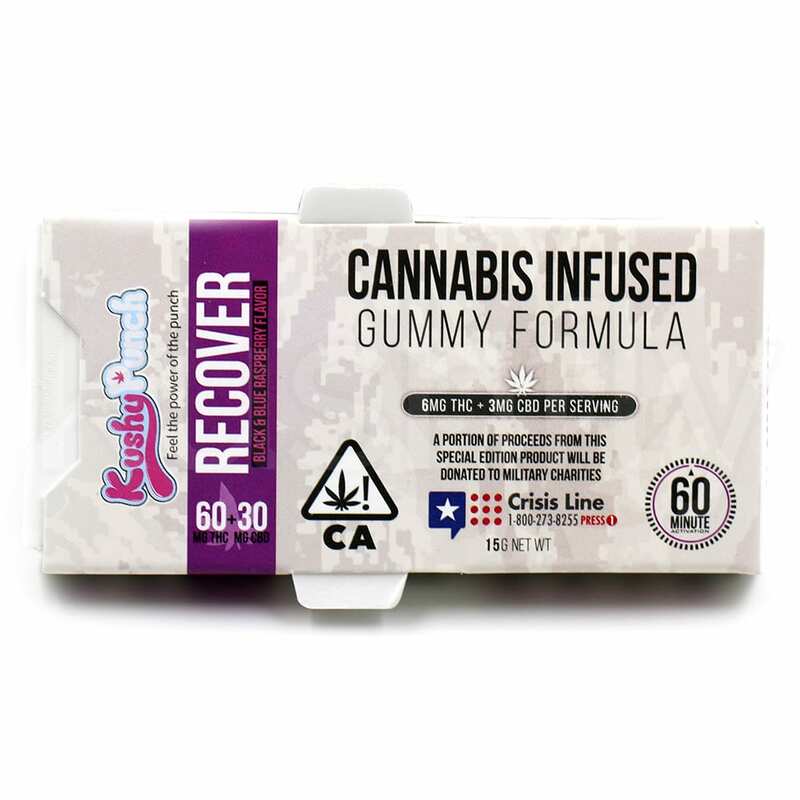 Their line of medicated gummies come in 5 Different varieties and potencies: Sativa, Hybrid, Indica, Recover (THC+CBD), and Kushy CBD. All KP candy is made with the terpenes inside to give you the depth of experience you’re looking for. “Our passion at Kushy Punch is to make every person that comes into contact with our products feeling better, healthier and happier. We always source locally, and make sure everything we release from our factory holistically fulfills the needs of your mind, body and soul. From our award winning edibles to our vapes, Kushy Punch is here to help you! Kushy Punch Black&Blue Raspberry Cannabis Infused Gummy Delivery in Los Angeles. 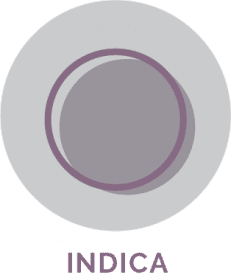 Kushfly delivers curated selection of marijuana flowers and brands for Adult-Use in Los Angeles. 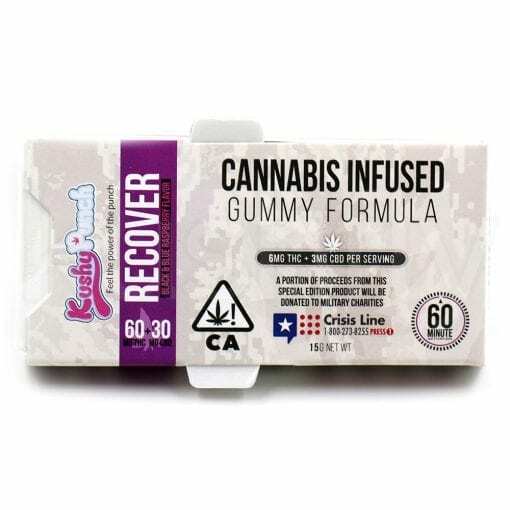 You can order Kushy Punch Black&Blue Raspberry Cannabis Infused Gummy delivery to your door in Hollywood, West Hollywood, North Hollywood, Studio City, Burbank and most cities in Los Angeles.